Eduardo Pérez Pellitero firstly approach martials arts with Kyokushinkai Karate. 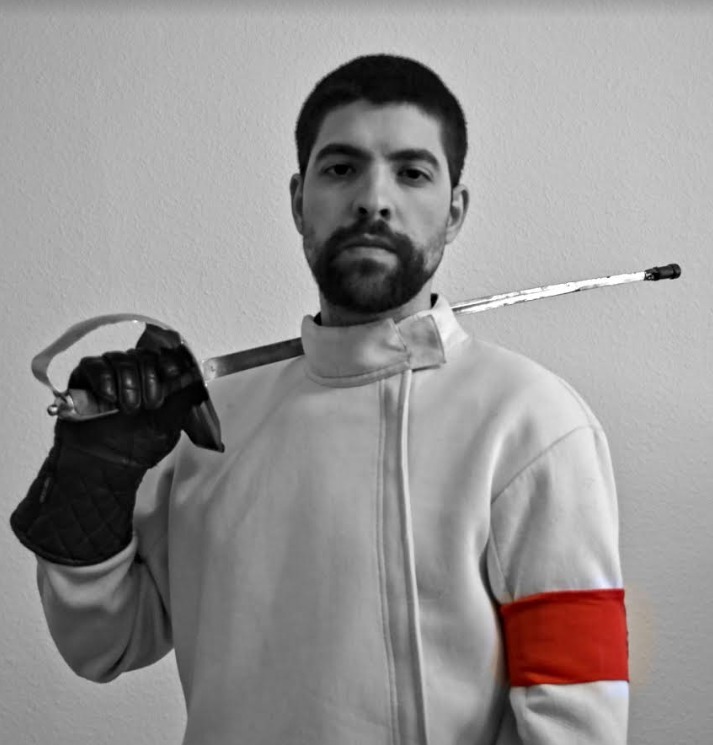 His interest in the study of ancient fencing led him, about 10 years ago, to discover the Associació Catalana d’Esgrima Antiga (Barcelona), where he began to train with rapier (with and without a dagger) guided by Diego Marín. In a few years he became an important fencer of the salle, training regularly also with longsword and sword and buckler (taught by maestro Oriol Salvador), and additionally helping in teaching tasks. Thanks to his close and continuous study of the original Verdadera Destreza sources and the need for a modern pedagogical tool for his students, in 2011 he writes and publishes “Iniciación a la Verdera Destreza”, which receives a very good reception and fastly becomes one of the most used references among diestros of all levels (more than 300 copies sold). In January 2013, he succesfully completed his public examination as an instructor for the Spanish Association of Ancient Fencing (AEEA in its original acronym), and later that same year moved to Hannover, where he trained and taught fencing in the Arts of Mars salle (led by Collin Richards). In 2014 he teaches for the first time in an international event (World Wide Open Championship). Currently, Eduardo resides and teaches HEMA in Tübingen.